An easy way to impress your party guests? Toilet paper origami, of course! Jess at How About Orange offered up this fun opportunity to leave a surprise of the best kind in the bathroom. 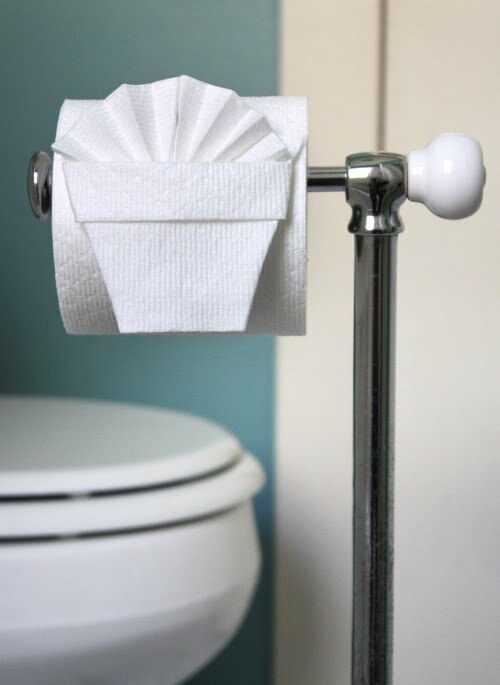 Toilet paper origami tutorial found here. So cute…and the Toilet Paper Origami book would make for great bathroom reading! Ha! I hadn’t thought of that. You’re right!